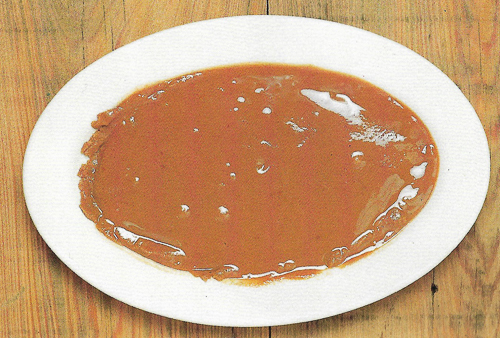 Roux, a mixture of flour and oil or drippings browned slowly over medium heat until the desired color is achieved. A basic component in many cuisines. A starter for many Cajun and Creole dishes, such as gumbo, oyster stew, crawfish bisque, turtle soup, grillades etc. The roux contributes color, body and a nutty flavor. The photos and descriptions below are from Chef Paul Prudhomme's Louisiana Kitchen. 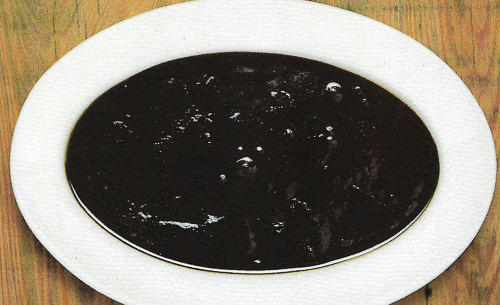 Used most often in sauces and gravies for heavier dark meats such as beef, venison, and other game; also for dark-meat food such as wild duck and geese. This is the one roux that is not made over very high heat. Used instead of light-brown roux when a somewhat stronger, deeper and nuttier roux flavor is desired. Used for light, sweet meats such as domesticated fowl and rabbit, pork, veal, and seafoods. You may also use it for gumbo. 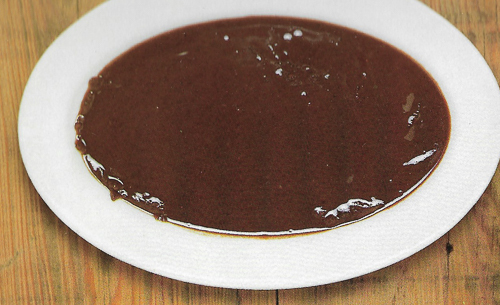 Used when you want a stronger flavor than dark red-brown roux gives. It takes practice to make a black roux without burning it, but it's really the right color roux for a gumbo.